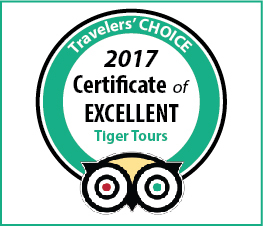 Why is it called Tiger Tours? It took me quite a long time to decide which name would be the best. Of course, a lot of names popped up in my head, but I still felt it was missing something. I wanted a company name that would stand the test of time and be meaningful as well. Finally, one night the name “Tiger Tours” appeared in my head, and it was completely what I had been looking for. First, the word “tiger” is iconic of Asian countries; therefore, it is easier for people to remember it. Second, tigers are very confident, noble and fearless. In the Chinese Zodiac, “born to be leader" is the key word for the tigers. Based on our vision and our mission, it fits: We're building a company that provides the best service in Vietnam, and aim to become a leader among tourist companies in the future. Third, I think every Vietnamese woman is truly a TIGER! Why are all Tiger Guides female? •	There are three reasons why I only hire females. First, I think Vietnamese women are very strong. They put 100 percent into taking care of their family, children and work. There are many professions that require you to work very hard, and being a tour guide is one of them. Many tour companies don’t really want to hire female guides because they are afraid that the female guides won’t work as hard as male guides. They believe that eventually, many of those women will settle down and get married, which would definitely interrupt their work schedule. I thought of that and wondered, what about the other women with the same dream as me? How will they be able to attain that dream? •	Second, the career path for Vietnamese women is very narrow with few opportunities. This is why I’ve decided to hire females and help them out in their career. They deserve social recognition for all the efforts and contributions they have given to their community. Also, when it comes to customer service, females tend to be more flexible, calmer and have better end solutions. •	Third, when we have female customers who are scared of Vietnam traffic’s, they can hold onto the female tour guides, feeling more comfortable than they may with a male guide. Plus, our female customers can feel at ease if they are traveling alone because there are other females around. Why do you hire college students? •	When I was in college, I discovered that finding a dream job and having enough money to study or take care of the family is incredibly hard, especially for young women without experience. Most companies want candidates with a degree, who are fluent in English and have 2–3 years of experience. I told myself that if I had the chance, I would create opportunities for women college students to obtain a job with a steady income. In this way, they can improve their English skills and gain experience when working with foreign customers. Tiger Tours is a stepping-stone company to help female tour guides gain more experience, learn more in the customer service field, and have the chance to work in an international environment so that they can find a better career after graduation. Many of our tour guides still work for the company after they finish their college. And of course, as a professional tour guide working full-time at Tiger Tours, we request our tour guides to have an international tour guide certificate from the government. •	Our guides are fun, caring and knowledgeable. We want your experience to be unforgettable through the stories you hear, the things you learn or the personal connections made. To get the best guides, we take the most promising talent, put them through a rigorous training process, and monitor the quality of their tours. •	I didn’t decide to hire college students because they are cheaper than other candidates. Tiger Tours offers a competitive salary, sometimes even higher than other companies. The most important thing is that the staff always receives their hard-earned money after every tour. It helps them to continue in university and gain experience for future opportunities to make their dreams come true. We take tremendous pride in our professional drivers. They are specially trained and must complete driving record checks, training and testing, obtain a legal driving license, and attend safety meetings. Why are all of your tours private? We understand that when taking a tour of Vietnam, you want an experience that is authentic and personal. 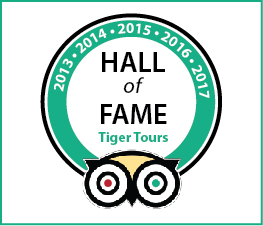 With Tiger Tours, that is what you get each and every time. How do we do it? First, we will introduce to you the ideal itinerary. Then, we will head out on your one-of-a-kind tour planned around your interests and requests. You won’t be with a group of strangers on one of those cold, impersonal tours with a one-size-fits-all itinerary and strict schedule with time limits. It will be just you, your guide and whoever comes to Vietnam with you. 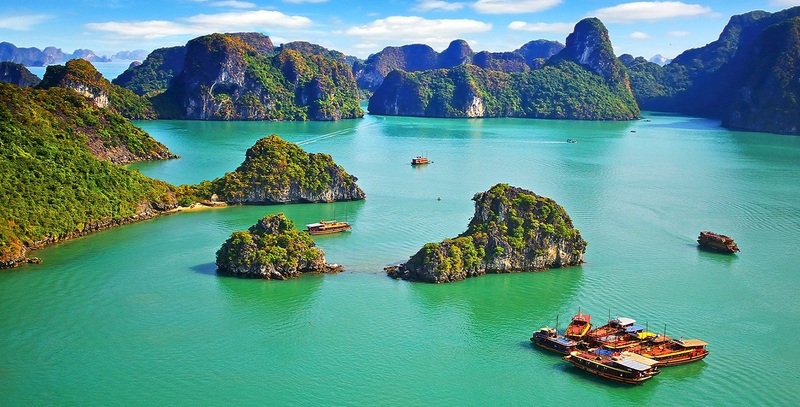 There won't be any tourist traps or tourist rip-offs, which is quite common on other tours of Vietnam. You get only the real Vietnam with Tiger Tours! With this tour, we never leave your side. We are with you every step of the way. We tailor your itinerary and how much time we spend at each site around your interests, what you want to see and what you want to experience on your own tour. We will meet you in the lobby of your hotel to begin your tour. You won't have to find us – we'll come to you. We'll meet at whatever time is good for you. Whether you like to sleep late, or you like to get up early, or your body is accustomed to another time zone, it’s not a problem – we will follow your lead. It's your vacation, so we'll schedule your Tiger private tour around you. What should I do if I don't receive my confirmation e-mail after making an online purchase? •	After you complete the online purchase, an automatic email will be sent to your email to let you know that the purchase has gone through to our system and you provided the right email address. If you don’t receive this automatic email, please double check in your junk email or spam folder, or perhaps you have provided us with the wrong email address. •	Please send an e-mail to info@mytigertour.com with your name, date of purchase, and correct e-mail address, so that we can re-send your confirmation or follow up for further information that we need before the tour starts. Is there a weight limit for the motorbike? Yes, the maximum weight that most of our Tiger Guides can handle is 130kg (~286 pounds). If you are bigger than that, please let us know ahead via email. Is it safe to tour on a motorbike? •	During our five years running tours, no problems have ever happened on our tours. We even provide every guest a Certificate of Insurance on all of our motorbike tours. The insurance company we have a partnership with is one of the most trustworthy and biggest companies in Vietnam, and is owned by the government. •	Moreover, our staff members are carefully chosen and have passed all the relevant training in riding skills and problem solving, in order to make you feel the most comfortable. As Vietnam is still a traditional country, we recommend that you wear comfortable but appropriate clothes, because you will visit religious sites on our normal tours. For the Nightlife tour in particular, you shouldn’t wear shorts, undershirts or sandals according to the Sky Bar’s strict dress code policy. Of course you can! However, we recommend you only take photos when we stop at a specific place, because it’s very dangerous to take photos on the way. If someone approaches you and snatches your camera, it may surprise your driver and lead to an accident. We always have a coordinator on the tour who will take photos of your tour and send them to your email, so you don’t have to worry about recording your experiences.